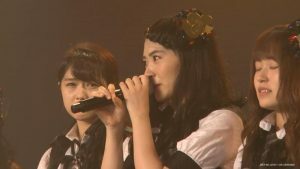 The show, called, “The Non-Fiction”, aired on June 21st, and focuses on two prominently unranked AKB members, Shimada Haruka and Nakamura Mariko, and it seems to have garnered rather favorable reactions online. Looking over it, it’s quite…. sad. 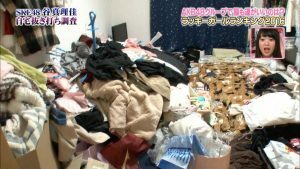 It covers a few aspects of each person’s daily lives, and also follows some of their fans and families reactions, and even footage from the most recent election was included. Here’s a collection of some of the highlights. When asked: “Do you feel the need to compete, in order to stay alive?” Shimada’s response: “If you don’t compete, you’ll just be left behind. 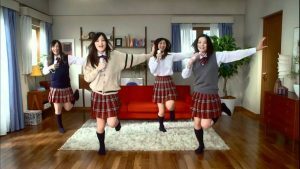 There would be no meaning to be in AKB.”. “I think at first, I wasn’t really that serious”. The next segment follows Haruka at a photo event, where she unfortunately is stationed right next to the much more popular Watanabe Mayu. Of course! Everyone goes toward Mayuy’s side, don’t they. 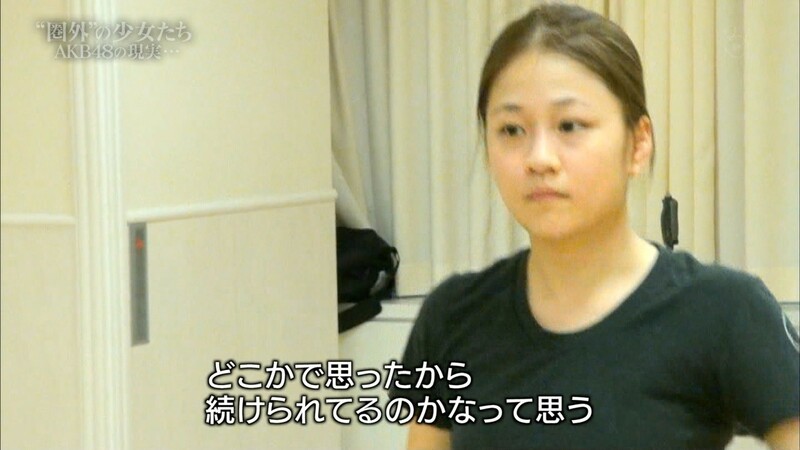 The documentary then switches sides to Nakamura Mariko, who is first in dance practice, and then seen taking the train. 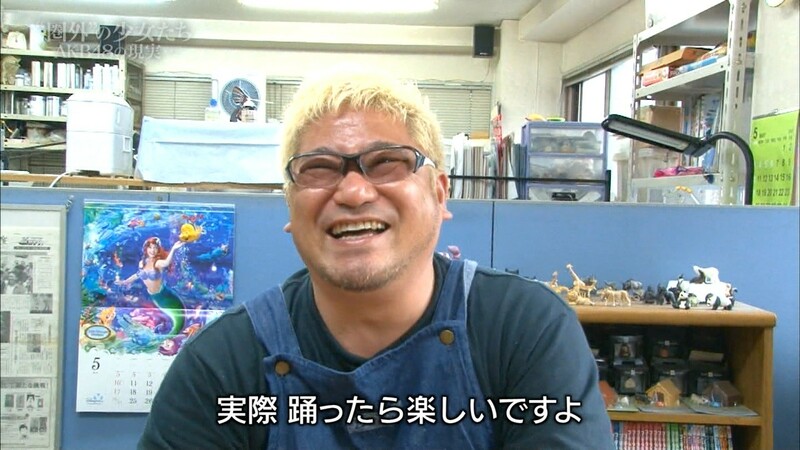 Unlike more popular members who’s appearance on public transit would cause mass hysteria, Nakamura explains: “Taking a taxi would cost too much money”. 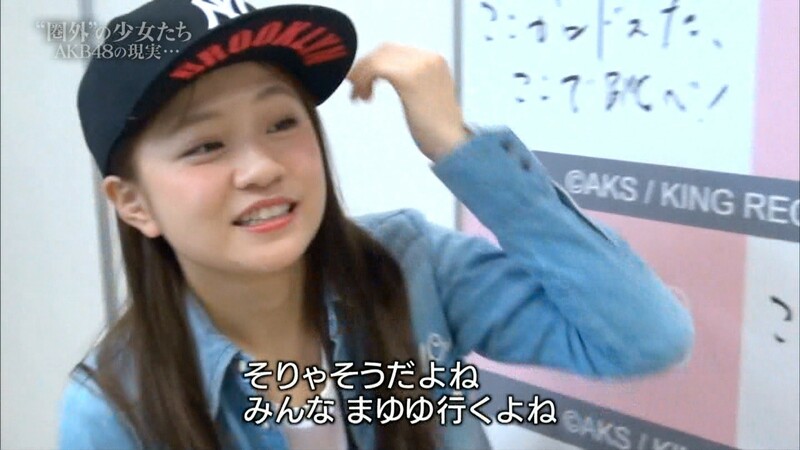 It’s also revealed that Nakamura, in addition to her idol activities, is also attending a local college. “I was watching The Non Fiction. More than my portions, I was very touched by my fans comments. I hope you’ll know a little more about me, and I’d be very happy if you know more about other members, besides me, who are trying their best”. 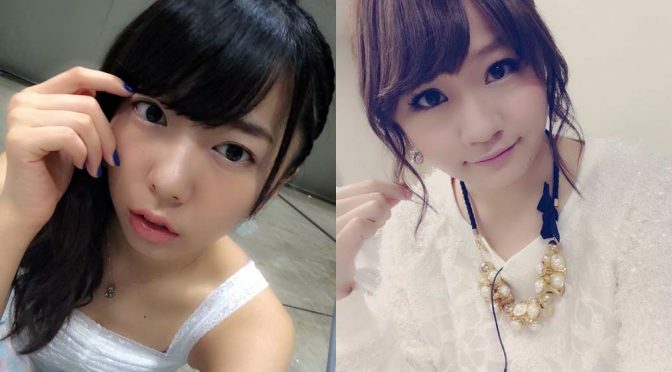 Previous PostHKT48 Murashige Anna graduationNext PostOkay, Twitter abounds with really supportive Yukirin fans! Would it be too much for you to translate the whole show? 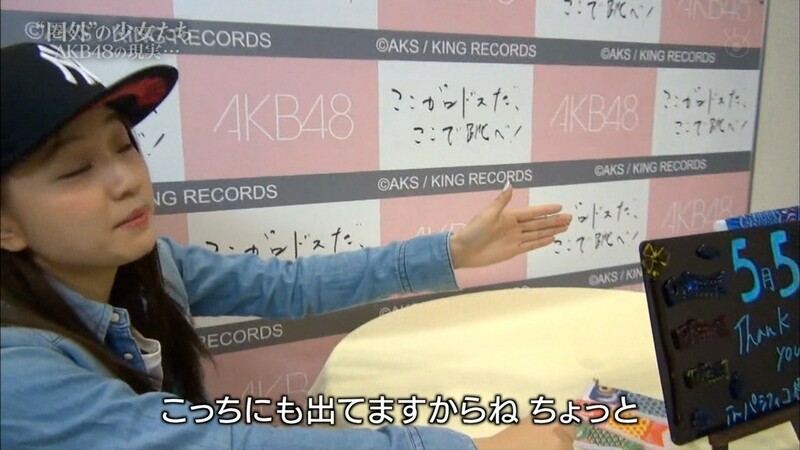 That piece could go onto the next AKB48 documentary as Bonus track, it was really well done. 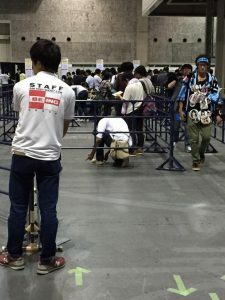 I now hope to find this Tanaka-san´s twitter or line, maybe we can meet at a concert. I find it weird that Shimada Haruka has never been ranked.She seems to show up on many shows and appearances,genuinely enjoy being there and having fun.And she looked more popular and recognizable than maybe 50+% of all the new members. Also i second translating the show,even roughly.This looks interesting and i wouldnt know this documentary exist if its not shown here,thanks! I don’t normally sub TV shows, but I’ll make an exception in this case. It’ll be a few days, so stay tuned! Oh man,thanks! you guys are great. Thank you akbzine! Not a fan of both but they’ve always been one of the girls that i respect and this article is so interesting i want to know more. 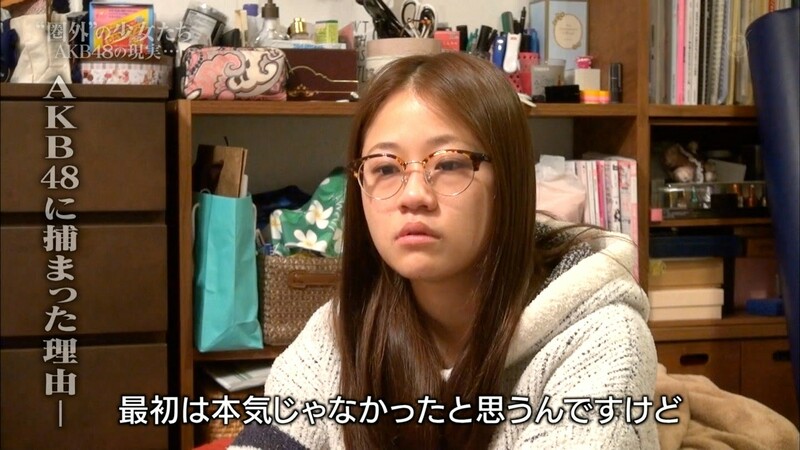 Not only Shimada, but I felt same about other 9th generations member. But it seems only famous ones from 9th generations are Paruru and Yui-han. I think maybe you saw it already, but jerry finished subtitles of the documentary! I think Yamauchi ranked…dunno? Her first Ranking was a 36. Well, at least she ranked. I really wonder…they’re both gorgeous, sweet, hard-working, good performers, and all that… why haven’t they ranked?